A fast-paced strategy game for #LOWREZJAM 2017. 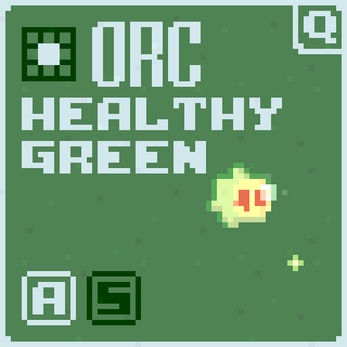 Help your orcs survive in the wilderness. Needs browser, keyboard, mouse. Uses "image-rendering: pixelated". Sorry IE and Edge. Want to use the Off-Grid Orcs font in your own projects? Come visit the font's homepage to download for free. Having trouble making it through the first few waves? For a few notes about my initial ideas and my development process, you can check out the devlog. 28 hours is my highest score! 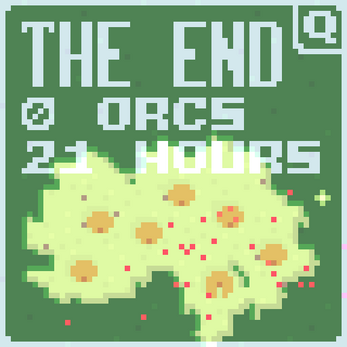 I think you should display the maximum number of orcs i got during the game at the end, or the total orc that were born. Good job!